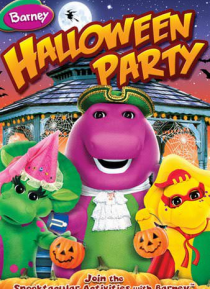 It's Halloween and Barney (TM) and his friends are decorating the gym for an exciting party at the school. Meanwhile, BJ (TM) and Baby Bop (TM) are getting ready for a fun-filled night of trick-or-treating in their costumes. After the fun search for Halloween treats, BJ comes up a bit empty-handed. But when he and Baby Bop arrive back at school, they find out that their friends have plenty of surp… rises waiting for them. Sometimes, the best treats at Halloween are good friends!